The direct-to-video seventh installment of the "Child's Play" franchise brings in little good but, plenty of the bad and ugly. After the moderately successful sixth installment of the Child’s Play franchise, Curse of Chucky, writer and director Don Mancini (Child’s Play) returned to write and direct the sequel and seventh installment, Cult of Chucky. 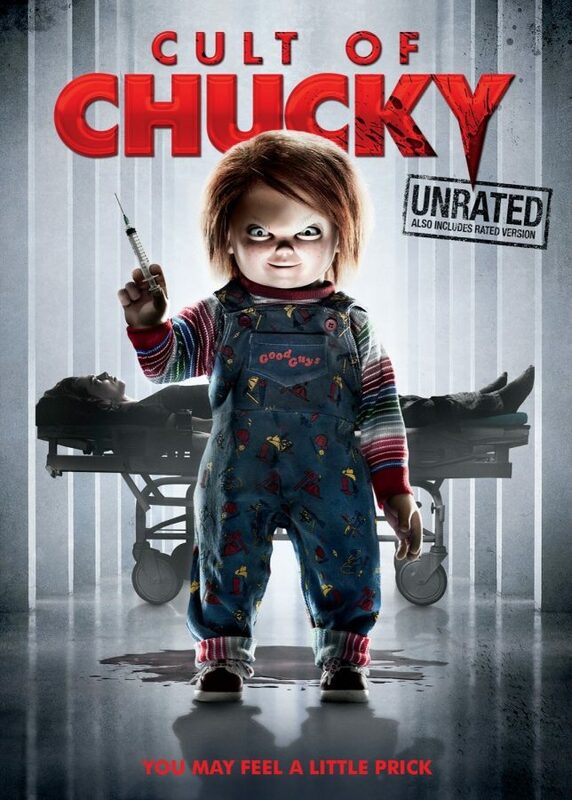 Picking up a few years after the events of Curse, we see our protagonist, Nica (Fiona Dourif), as she is relocated to an insane asylum where gruesome and macabre deaths begin to occur all around her, and all of the evidence begins to point towards the innocent-looking Good Guys doll we have all come to know and love, Chucky! In order to properly review and talk about Cult of Chucky, I feel that I first must address that this is a film made by and for the fans of the franchise, and by no means is made for a wide and accessible audience. Unlike numerous other slasher horror franchises such as, Halloween, Friday the 13th, or A Nightmare on Elm Street, the entire Child’s Play franchise has been written and or co-written by the creator himself, Don Mancini, and has never been rebooted or remade in the 29 years it has been around. It has even surprisingly (but thankfully) kept the same voice actor, Brad Dourif (One Flew Over the Cuckoo’s Nest), as the voice of Chucky throughout all seven films. With all of that being said, Cult of Chucky does take the series into a new direction but, miserably falls completely flat and stale. I am a huge fan of the series, and after the unique and realistically grounded Curse of Chucky, I was eagerly awaiting to see what Don Mancini would bring to the forefront with Cult of Chucky. The film would finally, for the first time, bring together all three storylines and characters from the previous six films, including Andy Barclay, Tiffany Valentine, and Nica Pierce. Sounds like a good ol’ time, doesn’t it? Well, in the end we got a lackluster over-convoluted mess that is void of any real substance. The writing is honestly atrocious in this film, and while the series never had tremendous writing to begin with (this is a series where a serial killer is trapped inside of a doll after all) the film is filled with unforgivable and simply ludicrous writing all around; from dialogue, character motivations, all the way to the premise, nothing makes sense. As mentioned before, the series has been written by one person, Don Mancini. So, why on Earth does Mancini break his own rules he established himself in previous films? Not only that but, characters are so fundamentally broken and idiotic in this film, you cannot help but get boiled up with frustration as the make the most ill-conceived decisions imaginable. Mancini takes characters we have all grown to love and appreciate and turns them into two-dimensional imbeciles. What truly baffles me however, are some of the directorial decisions made such as the nonsensical decision to alter the classic Good Guys doll voice, which has remained the same throughout the previous six films. In every last trailer leading up to the film’s release, the doll spoke in the original voice so, why did Mancini decide to change it last minute? What benefits does this bring to the film? What is the point? There are none. These may seem like gripes or nit picks but, in the end, these are legitimate criticisms as they do in fact reflect significant change in the film and your viewing experience as a whole. I did enjoy certain aspects of the film, in particular Chucky’s whimsical one-liners and the gruesome over-the-top kills. There are elements of a really fun and entertaining film within all of the schlock. In the end however, from the asinine writing and directing, the over-convoluted and uninteresting plot, to the horrendous characters, Cult of Chucky is a lousy and disgraceful addition to the franchise. A grave disappointment soon to be forgotten. 2 out of 5 stars (4/10). I do recommend watching the series but, do yourself a favor; skip Seed and Cult!